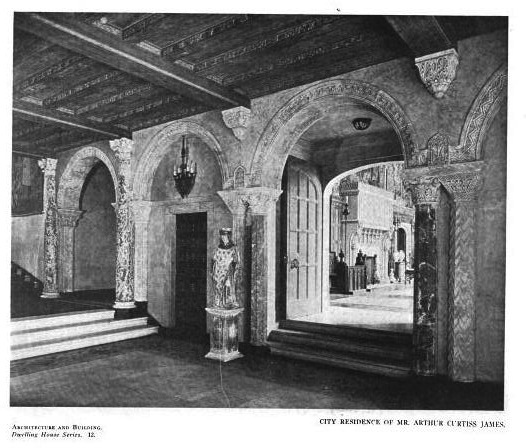 The Arthur Curtiss James residence designed by Allen & Collins c. 1914 at 39 East 69th Street in New York City. 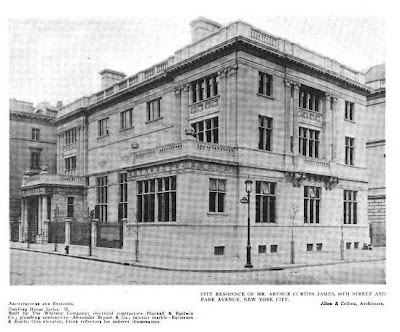 Click HERE for more on Arthur Curtiss James and HERE for the NYTimes announcement of the house from 1914. Click HERE to see 'Beacon Hill House', his estate in Newport, Rhode Island. The house has since been replaced by a midcentury apartment building. 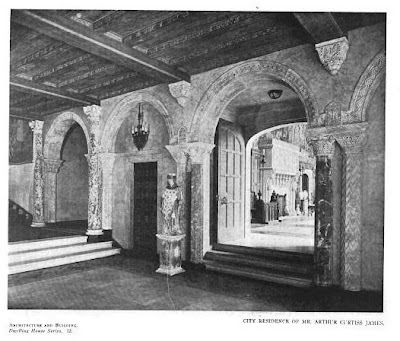 Photos from Architecture and Building, 1917. Ahhh, a new day, a new year and a new blog post!!! While this home has attractive elements on the facade, it still is rather strange looking. Maybe a little too flat and boxy, (No CPH commments from a certain someone) but the interior hall is magnificent. Old English manor home transplanted to 69th Street. 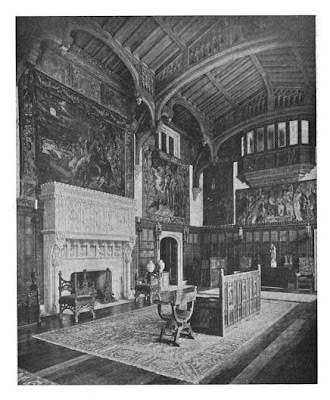 Both of the James residences had oddly conceived exteriors---this one has Jacobean power house aspirations on a New York lot, and the house in Newport has much in common with the Beaux Arts train stations of many a mid-size city---but nevertheless, both are also terribly interesting,lush, and well detailed. The interiors are wonderful. It's worth mentioning that Allen & Collins, in conjunction with Harold Willis, were the architects of another of the strange and wonderful houses of America, Hammond Castle in Gloucester Mass. PS, notice that I did not mention CPH in the above comment, and avoided mentioning how this house, despite its oddities, was still a better integrated and far better scaled and detailed composition than many CPH designs. Yup, managed to totally avoid any negative comments about the 255th best designer of the gilded age. 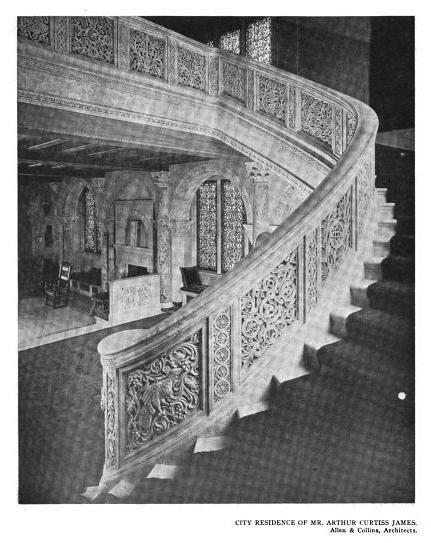 Look at the craftmanship of that staircase....you don't see anything like that anymore!! In addition to information about James himself, this provides a better angle on the facade of the house.